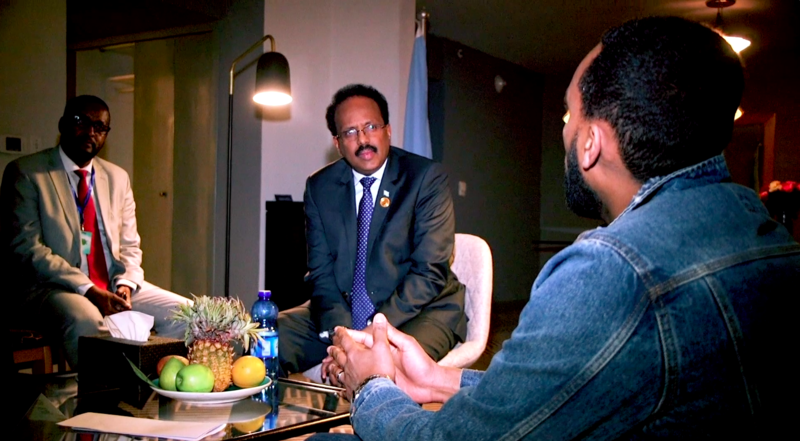 I had the opportunity to meet the President of The Federal Republic of Somalia Mohamed Abdullahi ‘Farmajo.’ Human-trafficking and secondary migration are important issues that have affected many of us including myself, and I discussed the issue in one of my songs. The song was called ‘Tahriib’ and was later used by the United Nations Refugee Council (UNHCR) for their secondary migration campaign ‘Dangerous Crossings.’ As a result of this, I was fortunate to be given the opportunity to become a goodwill ambassador for UNHCR. I also met young people who suffered at the hands of human traffickers, this prompted me to shed as much light on the issue as I could, and directly liaised with the president and his government urging them to bring home the stranded and help those that were affected by these issues.